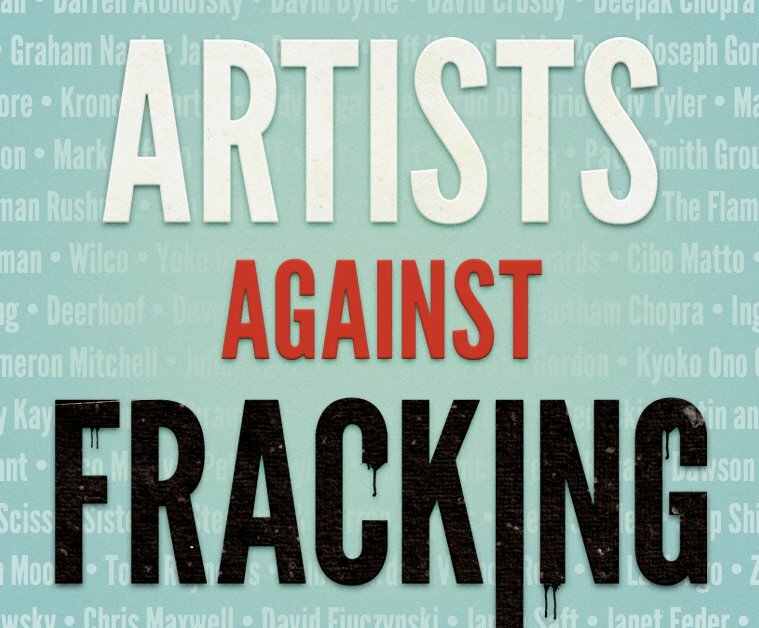 launched the website Artists Against Fracking on Late Night with Jimmy Fallon and performed their new environmental protest song—Don’t Frack My Mother. After hearing about plans to drill near their home in New York, Ono and Lennon gained the support of actors including Leonardo DiCaprio, Mark Ruffalo and Julianne Moore, musicians such as Lady Gaga and other celebrities like spiritual guru Deepak Chopra and author Salman Rushdie. 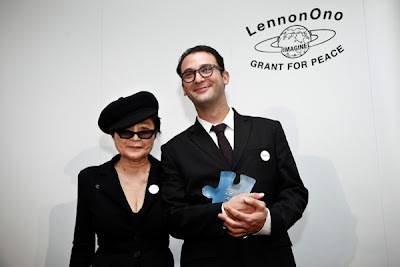 Yoko Ono & Josh Fox in Reykjavik for the 2010 LennonOno Grant for Peace ceremony. Yoko has been a huge advocate to stop fracking and in 2010 awarded New York filmmaker activist Josh Fox of "Gasland" fame The LennonOno Grant for Peace. The LennonOno Grant for Peace was created to honor Yoko Ono Lennon’s late husband, John, and his dedication to peace and commitment to the preservation of human rights. I am happy to report that The Town Of Rochester in Ulster County, New York, where I live, has put a moratorium on fracking and is set to ban it permanently. Many other townships in Ulster County are making efforts to ban fracking as are many other local municipalities throughout New York State. All this anti-fracking advocacy goes to show you that coordinated local, regional and national advocacy has a real impact on our collective future. Check out the video below of Yoko & Sean Lennon on "Late Night With Jimmy Fallon". Via EcoWatch. Thanks Stefanie Spear and EcoWatch.